Meet us on the dance floor, as we welcome London house music stand-outs ‘Tough Love’ making their VERSO debut on Saturday, January 28th.Joining them for this special night are San Francisco favorites The Schmidt and ThatSound.CALL 415 300 2995, FOR TABLE RESERVATIONSLondon based duo Tough Love have rapidly risen through the ranks of the house scene over the last three years. 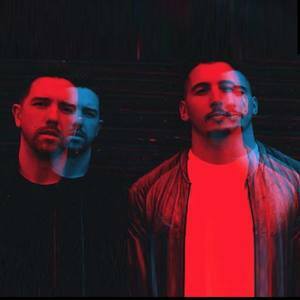 Their distinct productions together with energetic and bass-heavy DJ sets have created a cult following of hard-core fans across the UK and beyond. Their sound instantly recognisable in their production can be described as bass infused House with plenty of 90s R&B and Garage references and hard-hitting groove. Its this infectious sound that won them 'Best Single' in The Bass Music Awards & court the eye of reputable Jamaican born and London based Island Records, signing them up in late 2014.Tough Love’s Alex & Stef have been championed for their remixing ability and their penchant to make fun, '90s inspired house records. Support has already come in from the dance music tastemakers over at BBC Radio 1 - with the likes of Danny Howard and Annie Mac both labeling Tough Love as an act to look out for in the coming year.2015 as seen Tough Love already notch up 2 UK National Top 40’s in ‘Pony’ & ‘So Freakin Tight’ which has now gone silver in the UK. They’ve also had underground success with ‘In The Name Of Love’ a collaboration with Roger ‘The S- Man” Sanchez. Named as Sankeys Ibiza new flagship night ‘The Redlight’ weekly resident headliners, Tough Love not only showed there in demand skill set at the sell out nights but also compiled & mixed the official ‘Redlight’ Album on their own label Get Twisted, which hit the UK iTunes Album Top 40.Get Twisted has gone from strength to strength since its birth, with hit after hit making waves on both the underground and radio, Get Twisted now has core set of artists establishing themselves on the UK market & beyond. Its easy to see why Sony Columbia have signed up Tough Love’s imprint, together they now look a serious force to be reckoned with.As if the boys aren’t busy enough, they also find the time to host their hugely popular weekly radio show every Thursday at Midnight on one of the UK’s biggest radio stations Kiss FM (Beaur Media) & Kiss Fresh every Friday at 9pm.